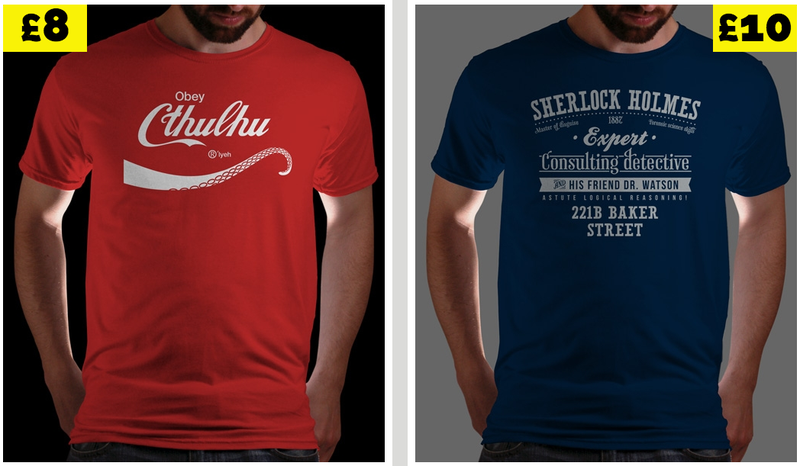 I've been keeping an eye on the site as I like their designs and I need some new t-shirts. I'd not seen any that I really wanted, though, until today when I liked both of the available ones*. *It works like this, shirts are available for a day at £8/€10/$12, then £10/€12/$14 for another day, then they're gone. There's a few stores working on this model, Qwertee happens to be based in Europe so is cheaper than most for me. If you want to see all of the day's new shirts from all the stores on one page this is a pretty good site.